After spending decades of his life working for someone else, Johanndecided it was time to do something for himself. Writing a book had always been on his mind, but he talked so long about writing a book, someone had to finally tell him "Stop talking about the book and start writing it!" Sensing that was good advice, Johann tried to write a book. A half dozen abortive attempts later, his muse created the storyline of "The Roaring Road", an historical fiction novel set in the Roaring 20s filled with Prohibition shenanigans, Napa/Sonoma Wine Country, Flapper glamour, Duesenberg automobiles, aeroplanes, fast steam locomotives and notable Hollywood stars of the silent film area, such as Wallace Reid, Louise Brooks, W.C. Fields, Douglas Fairbanks, Billie Dove, William 'Buster' Collier and others. Since Johann hails from the Chicago area, home to many a bootlegger, he had a rich background to work with. But although acquiring Napa/Sonoma wine and transporting it back to Chicago is a plot device, the story is mostly about Dan and Laure being pushed into doing something they were not prepared for and learning about each other along the way. 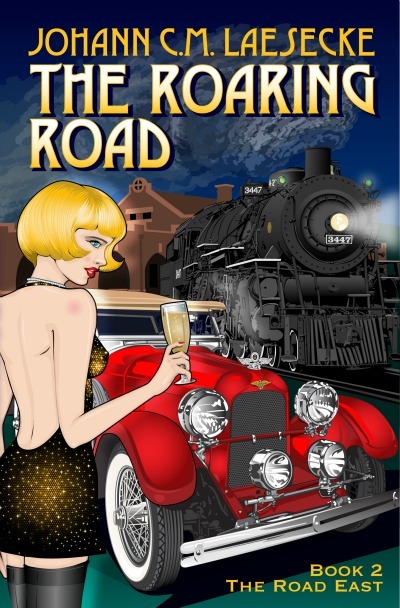 Almost two years later "The Roaring Road Book 1 - The Road West" and "The Roaring Road Book 2 - The Road East" was published, featuring Adventure, Mayhem and Lust. Future projects include a sequel to "The Roaring Road" and projects in other genres. 1924 – Prohibition has been the law since 1920 but that did not stop people from wanting alcoholic beverages nor did it stop the organizations that supplied them. Lack of good alcoholic beverages causes many speakeasies and gangs to manufacture low quality substitutes made from dangerous ingredients. Violence is on the rise as the gangs protect their turf and their products. Dan and Laure grew up in small villages in the far north and south areas of Chicago. They meet in unusual circumstances and Dan loves her at first sight. Laure has the same feelings for him but a past relationship causes her to be cautious and Dan is forced to undertake an impossible mission. Thus begins the adventure of The Roaring Road. Take a prototype Duesenberg and a Road Trip Dog - add mayhem, a mob chief, a group of highwaymen and a gang of bank robbers, a pair of kidnappers and assorted other villains, throw in visits to speakeasies plus the lure of Hollywood in the form of a prank devised by the infamous actress Louise Brooks that turns out to be wildly successful, and Laure is offered a role in the 1926 movie 'The Great Gatsby'. 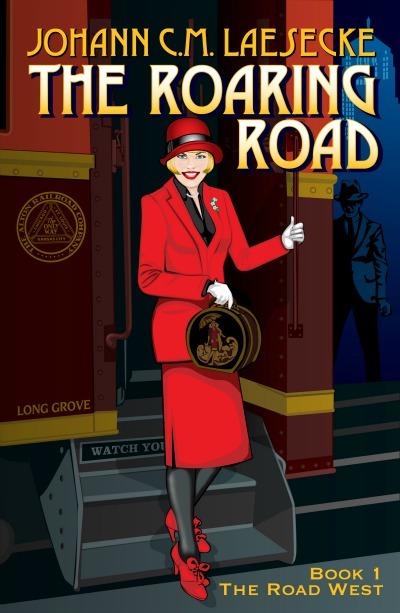 Automobiles, trains, aeroplanes, flapper glamour, adventure,mayhem and lust on the roads and rails and in the speakeasies and blind pigs of Prohibition. 1926 - Laure and Dan are being drawn into Hollywood even as their challenge of moving their contraband inventory becomes critical. Laure is a dancer on the 1926 production of The Great Gatsby movie, while Dan has an offer to become a movie producer. There are others who want Laure, and not for her dancing. Trouble looms as kidnappers are sent to grab Laure and send her to Chicago where her life expectancy will be very short. The railcar full of wine and booze is hijacked and their friend Scott is taken as a hostage and is forced to become a morphine addict. Dan's crew captures the train and Scott back and they send him to the rehab clinic Scott and Dan helped fund. Trouble continues to come at Dan and Laure but they gather a small group of people with unusual talents to help. The Chicago gangs become more involved and more mayhem leads to a confrontation in Cherryvale, Kansas which happens to be the hometown of Louise Brooks. Come with us on our adventure tale of captures, rescues, recapture, speakeasies, mayhem and lust on the roaring roads and rails of the Prohibition era. What Could Possibly Go Wrong?